It’s that time of the year again when we all get to dress up and eat candy without being judged, it’s charming as it is in it’s simplicity. 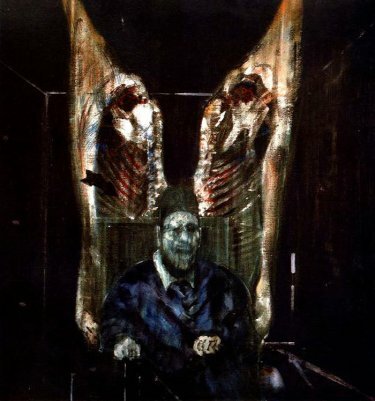 What gets me so excited about it is the whole modern concept about it; leave alone the connecting with the departed bit, I mean the dark, scary, haunting fetishism we have created for it. It is simply amazing. There is so much dark energy going on about the unfettered adult world from sexual expoits, cultic activities and quier imagery that makes this one of my favourite times of the year. The kind of imagination is simply divine if you know how to do it right. Costumes are just one part of it that has been recently marred by such subtleties it breaks my heart. I like to see ghost costumes, skeleton costumes, voodoo costumes and the like, the darker the better because I think , and this is just me speaking; Halloween is about connecting with the terrors lurking behind the numbing darkness, realizing that they are one with us. This is one of my favourite pieces on religious matters. 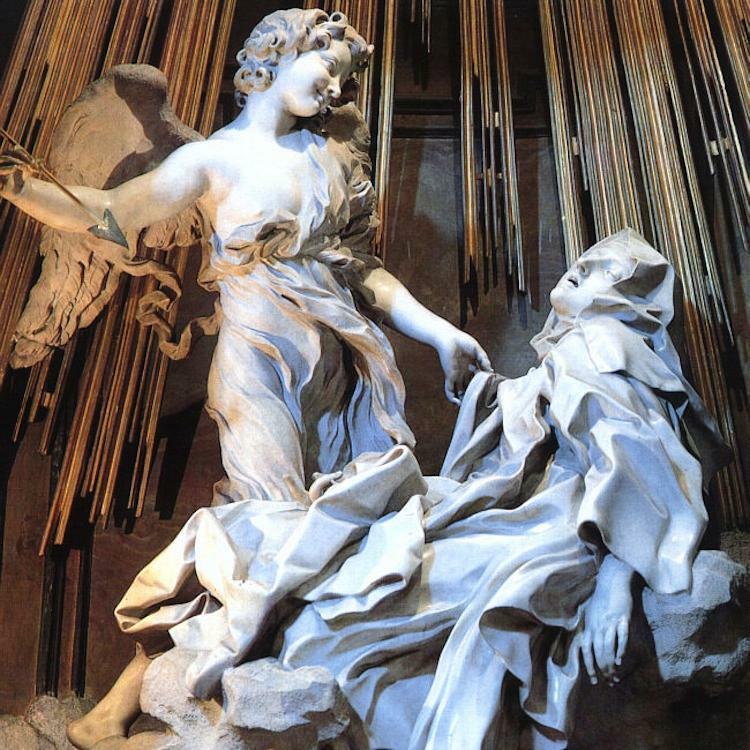 As a practicing Christian and a self-proclaimed renaissance woman, i think Gian Lorenzo Bernini perfectly captured the romanticism of Christianity and combined it well with the hedonism and movement of the Renaissance during the time of Counter Reformation (history and stuff). It evokes the sensuality of true worship and does not ignore the impulses of Theresa of Avila, she’s only human, neither does it stress on it. Let us all look for the hymn Veni Creator Spiritus and experience the rapture she did here. The sculpture is the central sculptural group in white marble set in an elevated aedicule in the Cornaro Chapel, Santa Maria della Vittoria, Rome. The day is over and the sun slowly escapes the sight of mankind. Many hardly notice it as they quickly skelter to find shelter for their heads, those with possessions put them under locks, fearing the treacherous evil of the night. The devil that snatches when every soul is deep asleep and lost in a labyrinth of their own dreams. I sit by myself and paint. Like many paintings before, this one too looks a bit indiscernible, my eyes slowly zone out to the setting sun, i fear it’s still too bright to shelter from the moon. Of course my fear lies not in cloudy nights, that’s for sailors to fear. But am i a sailor? Because i draw a ship on the ocean? My eyes rest again on my painting. Beside my stool is a whole collection of colours. The sun eager to set, now casts an orange tint over my canvas. Still i don’t move, in my head all i see is a beautiful ship, bearing much beauty than king Solomon’s temple. My hand trembles as i reach down for the colour yellow…but i tear down the canvas and start another. I paint quickly a landscape and i see it’s beautiful. My soul lifts at its magnificence and the brushes move quickly than they usually do. The dark cast a dark shadow as the heavens tear up in torrents ; i scram inside for shelter. Darn!!! my piece is ruined!! Oh well! I have to paint another, I cannot let this darkness darken me. Have you ever seen a dragon take off? If you have, you will understand my fascination with life and with greatest nemesis, naivety. I will tell you what I have been told it is because if I tell you what I experienced, I shall never complete this letter and you will not read it when I want so much that you read it. Sweet one, it is a hurricane of a thousand years, a great rage from the great water depths that hang over our heads. Imagine the sweet anguish that drops to your stomach when I have to take from your friends, first you feel the eagerness of the sweet cool treats for a hot evening and the despair of a day gone. Do you know why you feel that way my dear? You are young and the darkness makes no sense to you, why should a beautiful day have to come to an end? Why do things come to an end anyway sweet one? I shall now tell you of a favourite scarlet rage and hopefully one day you too shall know your rage, whichever colour it will come in, so attend and remember. It was a gloomy July evening, as they always are in these parts of the world. Your sweet mother happened to be caught up in the dusk frenzy, running up and down trying to get something for her belly later. It was really dark, the clouds were grey and you know those hills you see when you stand at the back of our house? They could not be seen, it was all very dark up there and it was just five in the evening! Anyway, as grey as it was, nothing could be greyer than my appetite, the local butcheries were already out of meat and I had to look for some alternative that I was not very anxious about. Pity me little one, I have to make you eat your vegetables or the authorities will take you away from me. So much for freedom, am I right? Anyway I got my vegies; I had bought spinach and kales. Simple, green, healthy and as your grandma would have emphasised ‘full of fibres.’ I got back to the road; it had rained earlier, around 3 so it was very muddy, wet and cold at that time. Back then I had not yet bought the car so it was either a long walk home or take a motorcycle. Sadly for your poor mother, all the cyclists would not dare the muddy and almost flooded paths. Not flooded as you would know it today, the water was almost an inch high and that would be very bad for the shoes. I met a few friends and neighbors on the way to and fro the market, chatted a little and moved on. Tired and anxious as I was to get home, I took the shorter route behind the park. The wind was kindly chill but when it blew a bit, it was a frost bite plague, almost literally. I am sorry I had almost forgotten the reason why I am writing to you. Well, like all terrifying tales, it actually started with the wind; it suddenly became rasp and dry, like all water was being drained from the air. What followed was the motion of the ground; do you remember that trip to the coast where you were too scared to get on the boat? It felt exactly like that except this time I thought the ground was rushing to the opposite direction from where I was headed to. Everyone around had the same frightened look on their faces and dark skinned as we are my dear boy, I saw a pale black man, for true. No one knew what was happening or going to happen. We exchanged worried looks as that was the best we could do. I have never seen many clueless faces as I did that day and it almost became amusing. I was just as terrified as I was fascinated, terrified because I think the worst ways to go would be the earth swallowing me live, falling into a sink hole, a volcanic eruption or an earthquake, not in that particular order. I knew it was not a volcanic eruption because from the accounts I have read, the ground would have been hotter than that and the rain water would have evaporated but it was not, it also seemed to run away from where I was going. I was fascinated because I have never felt such a pull inside of me, there was such a presence in the air that was ominous and yet so engulfing, the kind that makes you want to give yourself to it. You might know what that is yet. The world was changing for us that day and for me in the gentlest way it ever had. I was light hearted, I was eager, I was curious, I was unafraid and daring, forget what you hear people say about me, I was truly bold then. You will experience mystics like that later and you will know what it is to want to behold and miss and not feel bad about it. But do not get jealous my love, the day I first held you could not be compared to any other day because I had you and still do. That day was just different to a whole new level. From a distance the hills were rumbling, forget the movies you watch, you have never seen the earth move with your bare eyes. There was a tremor from beneath the earth and scientists swear that it was not an earth tremor, a volcanic activity or anything like that. Skeptic as I am of these machine scientists, I have to agree with them. Ironically at the moment, many people started running while shouting earthquake! Calling out to the Lord and cursing the gods. I was alarmed, I have dreaded being taken out by acts of God and lo and Behold, there I was on a suspicious natural event that seemed eerily like an earth quake. You will know from that geography book I bought you last term that even the slightest tremor can bring down buildings and people get trapped in there and give out. The worst place to shelter then would have been beneath a building. You cannot always escape from the world or from nature by hiding within bricks or under metal sheets or clay tiles. An instant of bad judgement saw me run towards the nearest building, it was a construction site then, and right now it’s that ‘Mum-mart’, the supermarket. Most people had gone to functioning buildings far away and just like in the movies and to my utter surprise, people had actually left vehicles running and were escaping on foot. The construction site was a bit cliché even for a grown woman like me but it was what it was. There was a mentally unstable man in the building too, he had gotten there before I did and was cowering in a corner. He was not as ballistic as you would imagine, he was in a state of trance just as I was with more hysteria than I would care for but that was all about to change. I stood just at the door because farther inside the building all sorts of danger loomed, I mean there was equipment hanging on the wall or from the wall, and it was a death scene. I collected myself somehow and waited, and time passed too quickly for me. My fear faded unnoticed and I was calm, anticipatory even. If anything bad would have happened, I had a feeling I would have lived to tell the story, but don’t be like that child, a need for heroism is never the best trait and is often delusional. I heard a blood cuddling roar from a far distance. I have taken you to the zoo and you know how the king of the jungle roars. Dear child it was nothing like that, the roar was apocalyptically wild, it was free of any bounds, it was terrifying, it was horror, it was beauty, and it was elating. I remembered smiling where I was. I knew I would not die a horrific death just yet and I knew I was in no danger in a high rising building, or so I thought, dragons fly you see. The tremor in that roar was like nothing I have experienced before and even if I try it, I don’t think I can ever put it in words. I would if I could but my sweet boy I can’t. It was like the heavens opened for me. I read somewhere that the roar of a dragon was like the tremor of the earth opening. I don’t know what that is like but I like to imagine. I will tell you as much; it was like a long lasting rolling of thunder just above your head and a thousand volcanoes coming up at you directly beneath your feet, but a million times more. It was not just terror, it was melody; there was a rasp in it that would lull an unsuspecting beast to a sudden trance. It is music for the gods! I thought I wanted to see what was making such noise because there is nothing on earth I knew that could possibly make it. No need telling you how my temporal roommate was trying to ostrich himself through concrete floor, is there? I ran up the stairs as quickly as I could, perhaps I was the one in the trance and not some poor beast somewhere else in the jungle that was made of our town. The noise was coming from the hills and so I ran unceasingly to the top most floor of the building which was halfway through and stood there in open air and vulnerable to the terror that lay in the hills not so far away from where I stood. I waited patiently, barely breathing; the earth was alive and pounding with great life as was my heart, the trees were prancing and dancing about in the sharp air as was the hair on my head. The long wait was getting longer when suddenly the ground gave quick successive shudders as a bed would creak whenever you and your little troublemaker-friends jump on it. The shudders were not ageless, but that is the beauty of the creature that visited us, it was like a musical set, there were drums, there were the singers and then there came the tambourines. Oh the tambourines! From where I was I could see two humongous mast-like things complete with sails and ropes flap in a flash beating the ground beneath them and rising up again, flapped once more, barely missing the ground, it felt like the decorative spikes on top of the masts merely grazed the earth. One more flap and my eyes beheld the greatest thing they ever did. It rose like a nothing I have seen. I have seen falcons, eagles, vultures and even fighter jets take off but nothing compares to the rise of the dragon. The way it masters the wind to bare its weight, the way it tilts its head, the way it flaps its wings so that they look like they fold around its body and release the air currents and to the air currents; and the way it coils those terrible stunted feet beneath its abdomen scales…never was anything so beautiful it was almost worshipful. Those machine scientists would come later to the hills and estimate the dragon to be slightly lighter than a mature male elephant, but you see child, I already knew it was heavy. From a distance it still looked just as big and in my trance, everything was as still as water in a pot. Everything was quiet. I was aware of where I was, not that it mattered, I was enchanted by the manner of sorcery coming from the earth. It rose very high and circled over the spot from where it rose and belched fire from its mouth. In a split second, it dived below and came up again with something enormous and burning in its mouth. Dear me, I suddenly became aware of the danger I was and the screaming all around me. Normally, I am the first to notice danger, and it is not paranoia, it is caution. I go to places very far away from the danger as I can and I have always prided myself of keeping a cool head under hostile situations and coming out unscathed. This almost became the exception that made the rule. The town was going up in flames of its own, the fright and the presence of death filled the air and we all became aware of our mortality like it just dawned on us. Fear is nothing to be ashamed of and everyone was afraid that day, but the manner of people I saw running to safety that day with soiled clothes was something out of incivilities. The madness was incredulous, in the air, in my head, in my heart, on the ground and that thing that was heading straight for the town! Tolkien describes the wings of the dragon as a hurricane, rightly so. If you remember Smaug the dreadful, chief of dragons you have quite the picture of the scarlet rage that weaved hell into the heart of our town folk that day or should I say former town folk? Those wings beat in the skies like flaps of loose clothes against a violent wind or like the turn of the engines of a plane against strong currents. It had the long body of a great serpent but still greater. Its tail beat about the sky like a crocodile’s would while fighting another in the rough parts of a swift river. Its head was adorned by a crown of terrible horns. It reached the edges of the town as quickly as I thought it would. Such a vain creature and barely paid us a passing glance. It was weighed down by the weight it balanced between its jaws and flew lower than I imagined it would and at a distance that caused me great discomfort. By good chance or ill luck it was coming straight for me and even in my new dread, I did not move a muscle, did not scream; nothing moved but the terror upon me and the terror without me. I am not proud of that moment, even though most people would regard me highly than they did because of it. You should not think it was a bold stand, I was no David, and there was no sling, no Goliath, just me and my death. Without realizing it, the madman was by my side trying to be a hero. He had found a long piece of wood from one of the floors and he tried to shoo the beast away with it. I just stared, not at the man of course; I could see him any other day. In a moment of oblivious and foolish heroism, my breathing was less laborious, my eyes were clearer and even though it had started to drizzle, I never felt warmer. It must have been the fire breathing monstrosity so near to me. I felt one with it; I had a thought that I was feeling as wild, as free, as terrible and as beautiful as the dragon. I am not sure if it was the trance or if it stirred something within me. I was not afraid of it and I knew it would leave me alone but for the fool waving a long piece of wood frantically in the air. See child, if you are going to surround yourself with madmen, don’t let it be the mindless heroes. They may be heroes, but why are they mindless? Obviously that irked the beast. He drew nearby and now you could see the anger boil in him; you could also see his teeth. He does not have canines like all other animals; his teeth are not spaced like that of a crocodile either. He had numerous but perfect teeth and they were all razor sharp, like swords hanging from his upper jaw, interlocking perfectly with the swords placed perfectly on his lower jaw. I had no way of telling that until he tossed the burnt weight balancing between his jaws into the air and without catching it swallowed it whole and bore his teeth at us. Dragons feed like snakes; they need to digest one meal over a long period of time if Tolkien is any authority on them. But I would and could not think of any plausible reason as to why it didn’t eat us or just the madman brandishing wood at it. I still did not believe in dying then, even after I saw its left eye and the glowing of fire in its throat and those thick scales. I was in awe my dear, but I held my gaze. Just then I wished I could climb on its grave back and fly with it to lands unknown from whence it came or whither it went. Life almost made sense to me; I thought I belonged to it and it to me, like a symbiotic relationship. 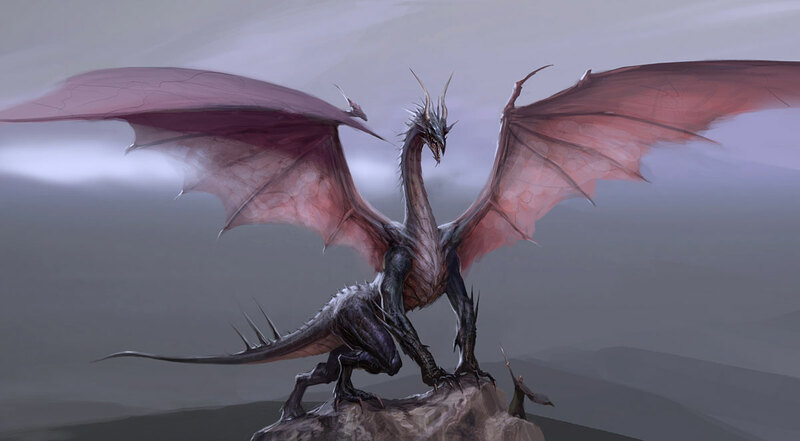 I should have stopped reading about these creatures long time ago but they are truly magnificent and unconquerable; and not for naught, there was one flying directly above me and splitting fire just above my head but not so close as to touch my hair. I hope now you understand why I squeal when I am at the salon. My fears are made of bad but beautiful memories child. I watched it fly away, I felt it go and with it my spirit, I heard it depart to lands unknown without me. The hurricane persisted behind it but what was more insurmountable was the fear that ran the veins of men that evening, the heat that raced through me and the heroism granted to me for naught. I could not sleep for a very long time; my head was not in the right places. I kept imagining that any minute that rage with glowing scarlet scales would come back to get what it wanted and perhaps this time it would be more than old Jones’ prized bull. I kept looking over my shoulder and feeling the tremor of the earth whenever I walked as if it would show up unnoticed. You have not seen a dragon rise; if you did you would not worry your mother with your reckless mischiefs. If you have seen a dragon rise, you should always try to unfetter yourself for mindlessness and futile troubles. Haven’t you heard? If you are going to strike the king, kill the king. I am writing to let you know that I would be changing your schools next term. I hope it will be a nice change of pace for you. There is nothing as dragon-blood my love, many children were born the same day as you were, the same day a year after the scarlet rage visited our town but they are not as mischievous. Have you seen Lola, the pastor’s daughter? She may not be as bright as you but she is a sweet, proper child and you will be her schoolmate next term. I will send you a packet of those liquorice treats you love so much if you are good. Be good my darling. Mommy loves you.